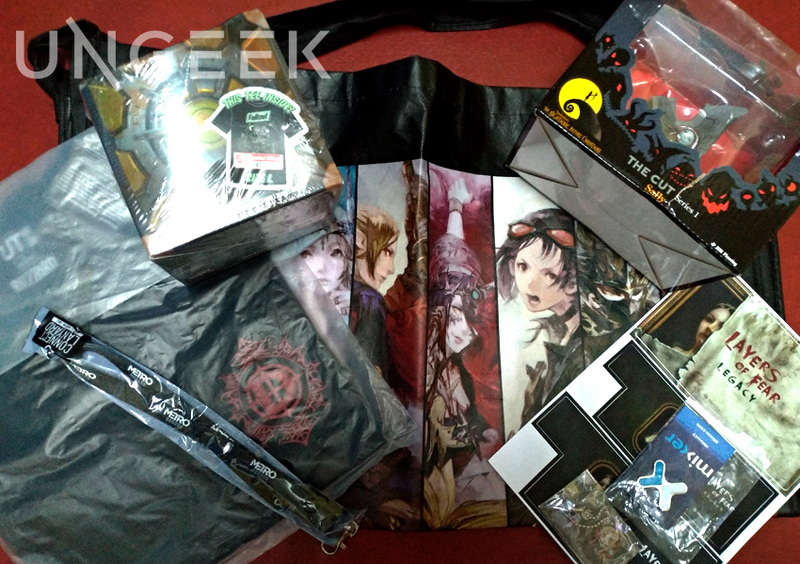 Okay, this is too far delayed already and we’d like to take this opportunity to thank each and everyone of you who joined our contest and to apologize that it took us this long to finally get to picking the winners! Truly, it means the world to us. 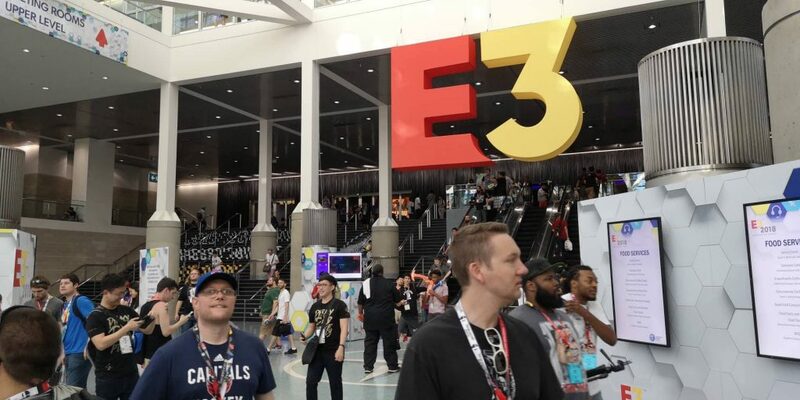 As you know, E3 is THE biggest gaming show in the world and it was a privilege for us to even be able go there in the first place, much less cover the event for you folks! 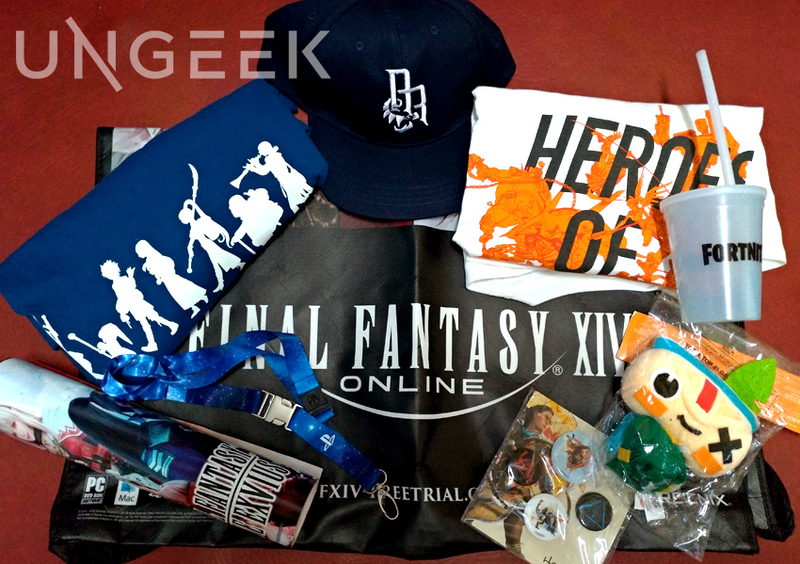 So this effort, as mentioned in the previous Merch Giveaway article, is our way of thanking you, our readers, for being with us and trusting us to bring you stories and coverage content that you enjoy. 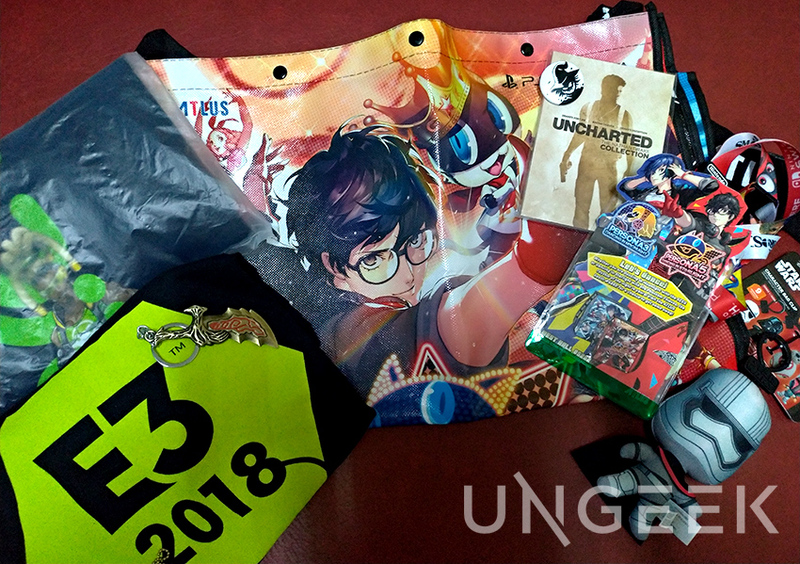 Looking back, the Ungeek E3 2018 coverage was such a milestone for us, not just because we were able to go to such a prestigious industry event, but, unknowingly, in our zeal to provide you guys with a robust coverage, we managed to craft more than a hundred stories just for E3. Yup, even that shocked us! So if ever you guys want to look back at what happened during those crazy 3 days, we compiled everything in one neat list: HERE. So again, we’d like to take this opportunity to thank you guys for pushing us to do better and craft better and more meaningful stories. Because it took us this long to release this, we felt we needed to make amends by adding this BONUS Giveaway pack to the mix. 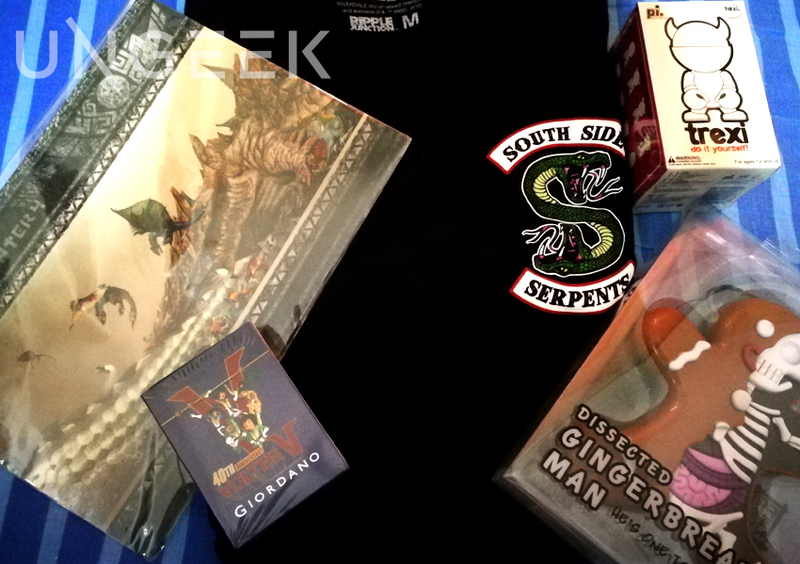 What you can get is a Riverdale South Side Serpents Shirt (M), a Monster Hunter 4 memorabilia, a blank Trexi DIY figure, Dissected Gingerbread Man, a Giordano Voltes V playing card deck and (not in the photo) a Pop Expo washi tape and a World of Warcraft Battle for Azeroth SG Launch Party Warrior ID. 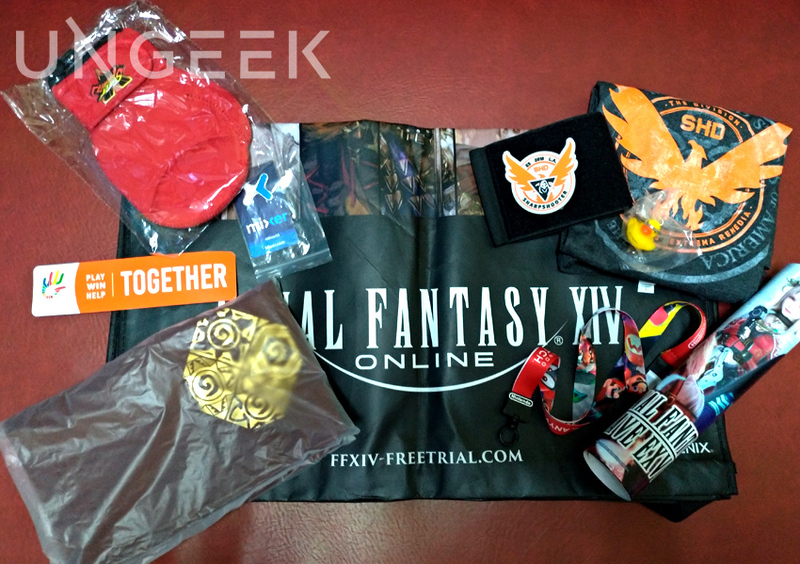 For this, we rerolled everyone’s name again and even if you’ve won above, you can still win this BONUS Giveaway. So without further ado….here’s the winner for the BONUS Giveaway. 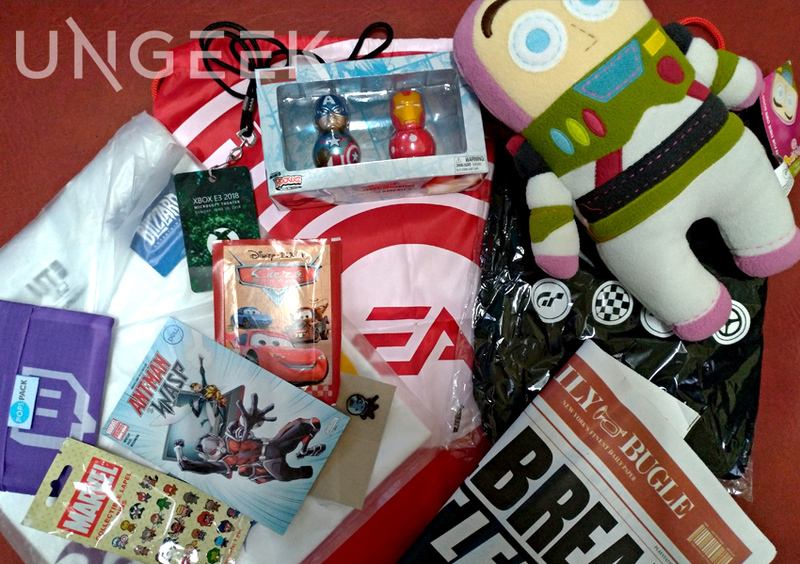 If you’ve won, please send us a message on Ungeek’s Facebook Page so we can facilitate the meet-up/ handover schedule. To those who weren’t able to win but joined, we really appreciate the support. And don’t worry, there are more giveways to come. 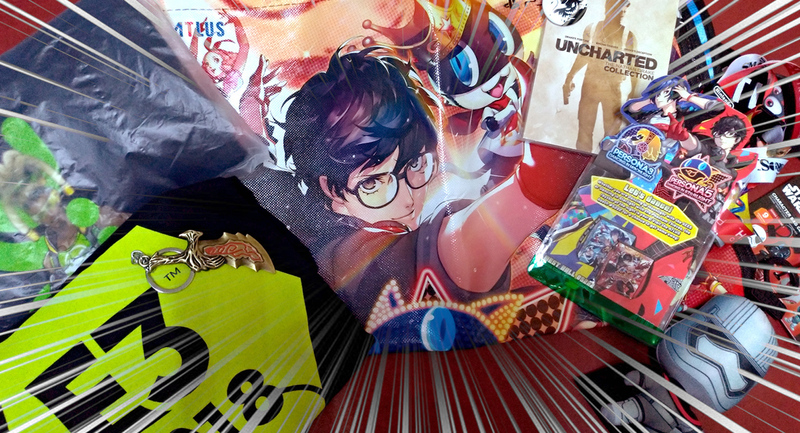 Tokyo Game Show is just around the corner, and you know what that means…another merch giveaway! Woohoo! As always, don’t forget to turn on the notification so that you would know right away if and when we launch another contest like this. Take it easy guys and gals, and keep on gaming!